CBC Music and CBC Radio One are currently hosting the CBC Searchlight competition, which is a national search to find Canada’s best new artist. Thousands of musicians enter the competition in hopes of being awarded the highly coveted grand prize ($20,000 worth of music equipment from Yamaha, a professional recording with CBC Music, and inclusion in the CBCMusic.ca Festival line-up). Oh, and bragging rights. Bragging rights are huge.At the moment, the regional finalists have been selected and the competition is fierce. Some provinces and territories have several regions in which musicians can enter (ahem, Ontario). Most have only one (yepp, Nunavut). We thought we’d provide a quick-guide to the top 5 uniquely talented Nunavut competitors. If you’d like to check out what the "Iqaluit (Qulliq)" region has to offer, read on! CBC Searchlight Nunavut nominees, The Trade-Offs. The Trade-Offs is a rock/blues band from the territorial capital of Iqaluit, Nunavut. Thanks to our nights at the Storehouse and the Legion, Anubha and I are well-acquainted with this fantastic group of musicians. Not only does their lead singer, Josh Qaumariaq, belt out some wickedly soulful covers, the band also writes their own original songs. Check out The Trade-Offs on Twitter, and watch their video below of their Searchlight submission "Red" performed live at the CBC studio here in Iqaluit. CBC Searchlight Nunavut nominees, Scary Bear Soundtrack. Scary Bear Soundtrack is an indie synth-pop project based out of Cambridge Bay, Nunavut. Scary Bear Soundtrack originated as an all-girl band based in Ottawa, until Gloria Guns moved the musical act to Cambridge Bay as a solo project. Up north, Gloria is accompanied by Christine Aye, who gets mega bonus points for playing the glockenspiel. The CBC's Grant Lawrence chose Scary Bear Soundtrack as one of his early standouts, and it's no surprise they've made it to the top 5. Check out Scary Bear Soundtrack on Twitter, and watch their music video below of their Searchlight submission "The Longest Night," which includes a montage of their lives in Cambridge Bay. CBC Searchlight Nunavut nominees, Northern Haze. Northern Haze is rock/metal band that formed in 1978 in Igloolik, Northwest Territories (that's right – these guys pre-date Nunavut!) You can find Northern Haze along the 69th parallel, writing and singing songs in their native Inuit tongue: Inukitut. The CBC's Grant Lawrence also selected Northern Haze an early standout in voting round one of the Searchlight competition, and (rightfully) highlighted their seriously awesome band photo circa... who knows when. To learn more about Northern Haze, check out Isuma TV's short documentary below entitled "Northern Haze: Living the Dream." CBC Searchlight Nunavut nominees, Kikkukia. 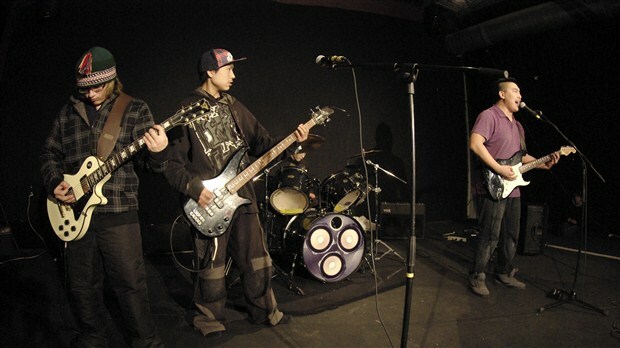 Kikkukia is an alternative rock band that also hails from Igloolik, Nunavut. These four guys started playing together in 2004 while attending high school, and in 2005 they started writing and singing their own songs in Inuktitut. Kikkukia released their debut self-titled album in 2013. To learn more about the band, check out Isuma TV's short documentary below entitled "Kikkukia." CBC Searchlight Nunavut nominee, Calvin Pameolik. 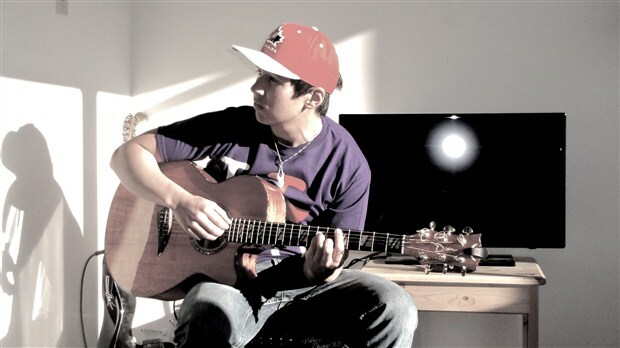 Calvin Pameolik is a young Inuk musician from Arviat, Nunavut. His YouTube channel includes famous covers ranging from The Beatles to Rhianna, but he also writes and sings his own songs in both English and Inukitut (sometimes combined!) Check out Calvin Pameolik on Twitter, and have a listen to the video below of Calvin's Searchlight submission "Been Away Too Long." If you’d like to help find Canada’s best new musical act, vote now to decide the regional champions. You can vote for three acts per region per day. This round of voting ends Monday, April 21, at 3:00pm EST.